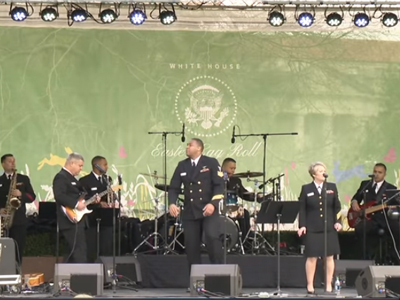 This year's event featured an egg roll, egg hunt, music stage, reading nook, egg dyeing, cookie decorating, card-making for troops, "Be Best" hopscotch, "Be Best" mail, musical eggs, costumed characters, tennis activities and many picture taking opportunities. 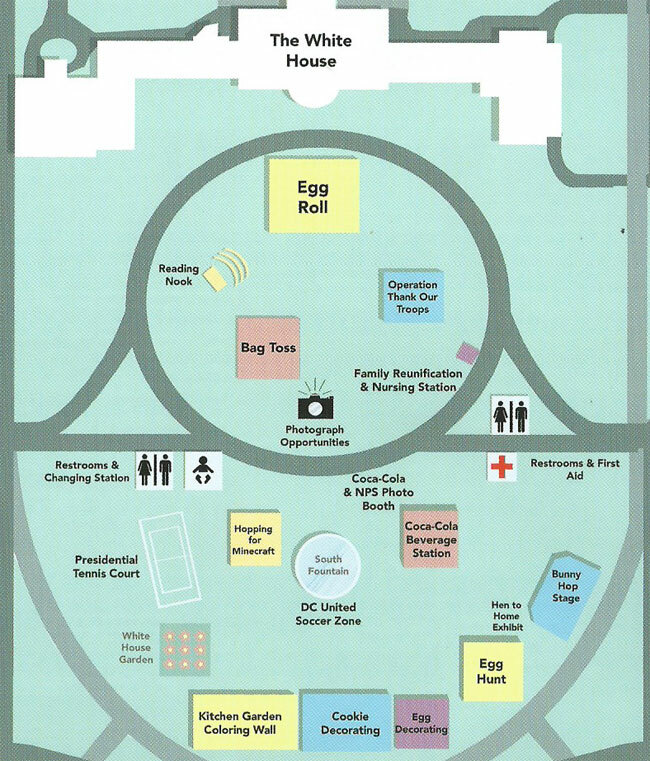 There was also a State Egg display on the Ellipse featuring designs from students across the nation. 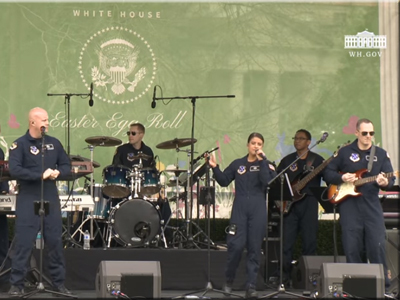 The Easter Egg Roll was live-streamed from the South Lawn of the White House so people could follow along at home. 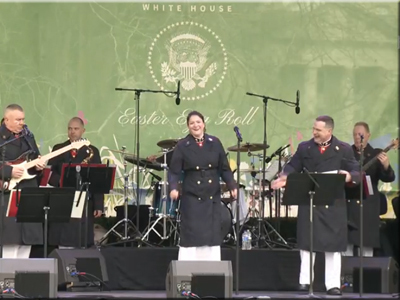 Military bands performed on the Bunny Hop music stage throughout the day. 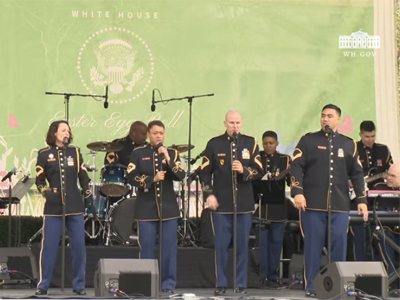 In addition to the bands below, the United States Army Old Guard Fife & Drum Corps also performed.